A four-year old girl by the name of Sakina, the daughter of Imam Husain (AS), more commonly known in the middle east as Ruqayyah – her tragedy is that like none other. It is globally recognized that when young children are victimized or affected by a tragedy, it carries greater effect and touches the heart of every human soul and every beating heart without exception. The pain is greater, the tears are more bitter and flow quicker, and the devastation is like none other when we hear news of a young boy or girl dead from starvation, or killed by a bullet, or harassed by another person. The disturbing images of a young girl standing in the desert of Karbala where her father who is the grandson of Prophet Muhammad, continues to bring tears to our eyes. She stands there near the burning tents, her bare feet stepping on the heated ground, her hijab violated, her state is in shock so much so that she doesn’t feel the blisters of her feet as she is standing on a floor of fire, because her heart is torn from separation of her dear father Imam Husain. Her younger little brother Ali Asghar (6-month old baby) has perished from this world without milk or water. She witnessed the arrow of Hurmula (LA) pierce his throat, blood gushing out like lava coming out of a volcano. The image of a bleeding earlobe with missing earring that got snatched by the enemy stands in our eyes whenever we see an earring. The scene of a devastated traumatized girl thrown over the body of her father after the killer of her father presented to her a plate containing the head of her father, her sorrow cannot be subsidized nor her cries put to silence. Her young body frail from continuous thirst and malnutrition after she refused to drink water when it was later given to her, till her dead brother Ali Asghar drinks. The dreadful dream which has terrified little Sakina when she realized that her father has departed the world, turned out to be a reality not a nightmare, a bitter reality which a girl in her young age could not take possibly endure. 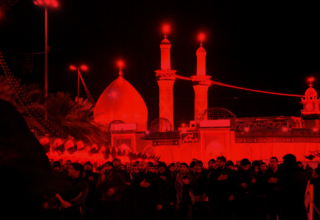 Her father and male members of her family were brutally killed in the Karbala massacre which took place in 680A.D. 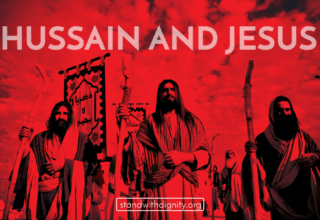 for the sole reason that Yazid son of Mu’awiya (tyrant) wanted to force Imam Husain to give his pledge of allegiance to him as Caliph, even though Prophet Muhammad (peace be upon him and his purified family) had clearly announce the divine selection of Husain as the leader and Caliph of his time. Indeed, the image of Sayyida Sakina is embedded in our minds whenever we see a young little girl under five years of age. 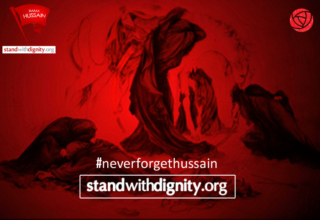 We remember the daughter of Imam Husain (AS) and the agonies that she went through till she breathed her very last while her family members are ever more devastated by her loss, as if they needed another tragedy to top it all! One of the greatest pain which Imam Husain (AS) experienced is the killing of Ali Asghar and the separation of his young daughter Sakina, knowing well what she will suffer after him, leading to her eventual death in the most dramatic and heartbreaking manner. For a little girl to suffer such trauma at such a young age that would cause death is a crime that is indescribable. In today’s age we call it emotional and mental abuse. We call it inhumane and out of the boundaries of even the typical crimes which are committed. It is an extra level and audacity that surely indicates the heartlessness of the enemy and the determination to inflict harm upon the Imam Husain’s family even after they slaughtered and killed him; yet again it was not enough. Umar ibn Sa’d who was the commander of the army fighting Imam Husain, ordered for the hooves of horse to stampede the sacred body of the Imam. 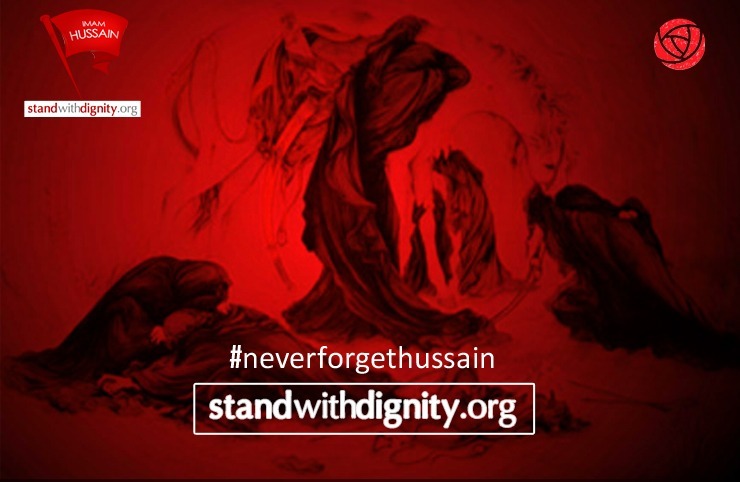 Yet that was not enough, Imam Husain’s head was raised on a spear and paraded through the city of Kufa to Sham with humiliating display in front of onlookers. All this took place in front of the surviving women and children of the Imam’s family. All this was witnessed by innocent Sakina whose heart is as soft as it can get, her love to her father being the core of her existence. Indeed it is the manifestation of the words embedded in Dua Nudba where the root reason to all this aggression is: animosity and envy to Prophet’s family due to what transpired in the Battles of Badr, Khaybar, and Hunayn where the heroic victory of Ali ibn Abi Taleb (father of Imam Husain) was recorded in history. 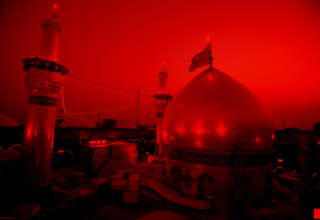 Today every devotee of Imam Husain (AS) sees Sakina in every oppressed child suffering across the world. In Karbala, Sayyida Sakina represented the image of a young daughter, particularly those oppressed and were treated unjustly. Every parent who has a girl indeed has an opportunity to relate and connect with Sayyida Sakina. In fact, one can reflect on the divine wisdom that across the centuries and ages, statistics show that more girls are born compared to boys. Why is that the case? Could it be that Allah (SWT) willed for us to remember Sayyida Sakina whenever our little girl becomes of similar age? If she cries, we remember Sakina, if she winces in pain; we remember the whip on her frail body. Contrary to what some parents may think or react whenever they find out they are expecting a ‘girl’, actually having a girl is a blessing because it is yet another opportunity to connect with Sayyida Sakina every day, not just during Muharram or Safar. Therefore to all mothers and fathers blessed with one girl, you are lucky. And if you are blessed with two or more, then certainly it is not surprising that Imam Ja’far al Sadiq (AS) says, “Daughters are good deeds and boys are God’s blessings. Good deeds will be given a reward, but one will be questioned about blessings.” (Wasail al-Shia) Having daughters will beg you the opportunity to perform the greatest of good deeds and that is, remembering Sayyida Ruqayya and feeling her pain in practice. Today, thousands and thousands flock towards the holy shrine of Sayyida Sakina in Syria where tears are shed very easily, for it does not take much effort for a human heart to weep over the tragedy of Sayyida Sakina. Even children can weep over the remembrance of this great personality when they envision her sitting alone in a completely dark dungeon, her heart broken from the separation of her father, in a similar manner that her grandmother, Sayyida Fatima’s heart was broken over the separation of her father, Prophet Muhammad. The resemblance between these two esteemed ladies are clear, both were destined to suffer from separation of their most beloved father who is the divine leader of their time. Both sadly perished from this world due to physical violence cause to them as well as emotional. And both did not live in this world more than few weeks. 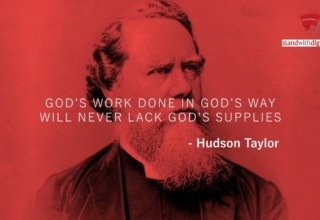 Make effort to serve and sponsor orphans and disabled children globally . Promote and enable the education of young children and help them grown intellectually, mentally, and emotionally. Invest creative ways to encourage girls to properly observe proper Hijab (of Sayyida Sakina at an early age, to gain confidence, and realize it’s dire importance. Rid ourselves and our community members from the ignorant mentality of frowning upon the birth of a girl and discriminating against females. Prepare our daughters to stand as strong role models and contributors to society and those who bravely stand against oppression and support truth and justice. Organize young girls’ march where 5 to 8 year-olds proceed in a rally across the nation to convey the story of Sayyida Sakina and raise the awareness of her personality and her connection to Karbala.